I've decided to continue writing my weekly reading aswell as uploading to YouTube. It takes a while with my internet connection to upload and some people have expressed missing it in writing !! Nice to know and hear too. So here we go. I have chosen three cards this week from Doreen Virtue’s Life Purpose deck. HEALER is the first one which has a picture of a doctor getting reading for theatre which is very fitting for myself this week as my Dad is in hospital. I must say that he has been looked after really well over the years in our Irish hospitals. He has had some “weird” reasons for being admitted and having operations. He has been blessed to have met many talented surgeons in his time. It has taught me to accept this part of the medical system and to respect everyone’s path in life. Anyway, we are all healers in our own ways. We are here to bring love, peace, joy, and happiness to this earth by healing ourselves and helping others to heal too. 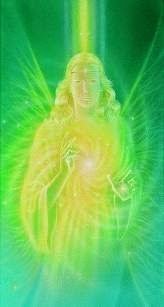 For any of you who have been thinking of going into any of the healing professions, holistic or medical, Archangel Raphael will be with you all the way. Ask for his guidance. TRAVEL is the second card and can be about travelling by car, train, bus, plane etc, literally travelling to a new place or to meet up with friends or family. It can also be about travelling while you sleep, in your dreams, healing in your dreams or astral travelling and learning in your dreams. So make sure to write down any dreams that you remember. On the card there is a picture of an angel at an airport on a computer, so it is about travelling on the internet too!! For those of you who love to surf, this is part of your life purpose too. There is a lot of teaching, learning and connecting with people done over the internet. Lastly we get a card that we got last week – FLOWERS – To me the message that comes in with this is healing, linked to the first card, by using flower remedies. They are very gentle but work on a deep emotional and physical level. Phytobiophysics is what I am using at the moment, personally. There are trained flower therapists who can check to see which you need at the moment for your healing. There is also lots of information on the internet if you would like to research them. There are also of course herbs like Echinacea which is an immune system booster. So a herbalist can help with your healing too. Also the message that would come in with this is flower and herbal teas can replace tea and coffee intake, if you would like to cut down on the caffeine.